With modern lifestyle and living conditions, constipation has emerged a major disease in every household, affecting children and adults alike. Constipation is generally considered to be a condition wherein there is difficulty in emptying the bowels, usually associated with hardening o faeces, involving high level of constraint. But, did you know that constipation is not just associated with bloating and the inability to pass stools? It has several other associated symptoms too, such as headaches, bad breath, acne, loss of appetite, irritability haemorrhoids, acidity, ulcers in the mouth, disturbed sleep, mood swings, dullness and lack of enthusiasm. Though all of these symptoms may not appear together, constipation is associated with most of these symptoms. Ayurveda believes that constipation is the result of indigestion, which leads to accumulation of faeces in the intestine. Vata (air element) is produced, its dry and cold quality interferes with the functioning of colon, and manifests in the form of heaviness, stomach pain and increased thirst. As for cause, most of the causes are lifestyle-related. Once you make specific lifestyle tweaks, you can regain a clean colon. Some other causes could be pregnancy, age, and travel. Insufficient water intake is the primary cause. The food in your intestinal tract needs water to move and reach its final destination. Therefore, with less consumption of water, you are likely to feel constipated. Drinking sufficient amount of water is the best natural remedy for constipation. Having processed food, meat, alcohol, and excessive dairy intake, involving a diet with nil fibre content, is the most common cause of constipation. 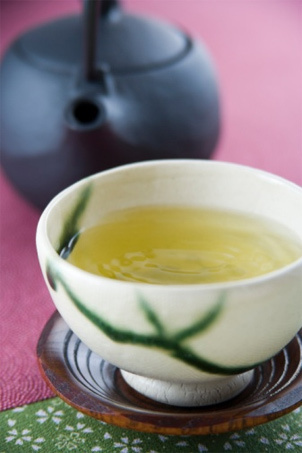 Drinking excess tea and coffee can aggravate the problem and cause chronic constipation. Finally, the sedentary lifestyles that we lead today are a major cause for constipation. So, ensure that you including walks and any form of exercise in your routine. Listed below are some Ayurvedic remedies that can help you find relief from constipation. Most of these are practical tips and remedies that can aid you in your journey of finding relief from constipation. Ghee is an excellent lubricator. Ayurveda uses ghee in most of its medications. Ghee helps by lubricating your intestinal tract and helping with smooth passage of faeces. Although oil also works on the same principles as ghee, the latter is the healthier option. A teaspoon of coconut or olive oil may also do the trick. You can also add ghee to warm milk and consume at bedtime. The nutrients in leafy veggies help in muscle contraction, while the fibrous fruits increase the bulk of the faeces. One best way out is to follow a vata-pacifying diet, by keeping away from cold foods and drinks, dried fruits, salads and most beans. Instead, go for warm foods and drinks and well-cooked veggies. Triphala is one of the most trusted and effective remedies for curing constipation. Have it in the form of tea. Else, grind together quarter teaspoon each of triphala, cardamom seeds and coriander seeds and have twice a day. The glycoside present in Triphala has laxative properties, while coriander and cardamom seeds help treats flatulence and indigestion. On consultation with your Ayurvedic physician, you can take a teaspoon of powdered liquorice root, and mix it up with warm water, adding a teaspoon of jaggery to it. This helps in improving bowel activity. The high fibre content presence in figs makes it the ideal remedy for constipation, particularly in kids. Figs also helps keep your digestion strong. They could be included as part of daily diet. Ginger, being a warming herb can help generate more internal heat, thereby activating the process of digestion. The menthol present in peppermint has an antispasmodic effect that helps relax the muscles in digestive tract, making it easier for the stool to pass through. Dandelion tea has a mild laxative effect too. Since ancient days, people have believed in the power of castor oil, which is a popular natural laxative. This oil stimulates small and large intestine. On consuming 1 to 2 teaspoons of the oil on an empty stomach, one can pass stool within 8 hours. Drinking sufficient quantity of water is a remedy by itself, as water hydrates the body and helps the food move along digestive system. It helps soften the stools too. Ideally you should drink a minimum 8 glasses of water a day. However, do not replace it with any other artificial or sweetened beverage. There is really no substitute to clean and pure water. Also, ensure that you exercise at least half an hour a day to stimulate bowel activity. As mentioned earlier, Ayurveda believes that excess vata disrupts the downward energy that supports elimination and stability. So what is the solution, you ask? Go upside down with inverted postures! Postures such as ‘viparita karani’ (legs up the wall pose) can help reverse the flow of ‘prana’ in the body, and aids better integration. They stimulate the lower belly and helps settle the pelvic organs that may have been disrupting the whole process. If these simple measures do not work for you, discuss with your Ayurvedic physician if you need to take any internal medications, and the appropriate dosage and course of treatment to help you find relief from constipation.